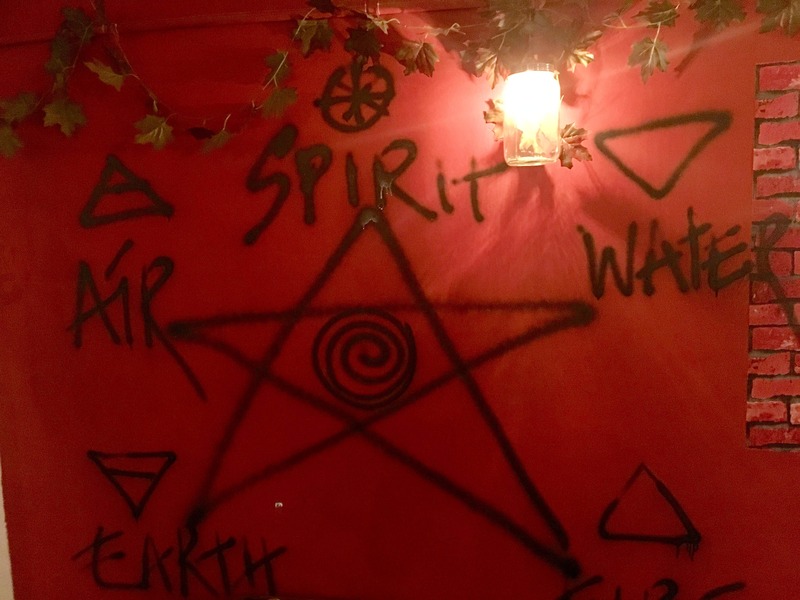 Coming Back To Life in Southern Avenue is a spiritual cafe that will surely get you into some sort of trance. It's a cafe that somewhat helps you to reconnect with your inner soul and rejuvenate it in the process. There is some sort of positive energy trapped in this place that can make you feel good. Sounds interesting? Yes, it is actually a pretty different and interesting place where you can sit on the ground that has artificial plush grass in the basement. The place has a huge seating arrangement of around 100 people and plays amazing soulful trance music. The food and drinks are basically in sync with contemporary cafes. I really liked my green apple mojito served in a skull-shaped glass jar! Also, loved the Harissa Chicken Skewers, Roasted Lemon Chicken Salad, Pesto Chicken Bruschetta and the Chilli Garlic Noodles. Just remember, you get continental and Chinese food here. In the basement, the lights can get a tad bit dimmer and there can be some variation in the music keeping the genre constant. Try out their green apple mojito, lemon roasted chicken salad and harissa chicken skewers for sure if and when you're here. It's better to come with a small group to this place and avoid making much noise to keep the essence of this spiritual place alive. The spot has a dedicated kids corner in the basement along with mini spa and nails paint studio. The interiors on the ground floor have regular furniture and seating arrangements and are quite different from the huge area in the basement.